Parkbench Architects approached us right from their inception. Having taken on exclusively food related clients up until that point, it was an exciting challenge for us to switch gears and use our skillset in a whole new way. Additionally, this was a soup to nuts branding project, utilizing the full range of our capabilities to create not only beautiful imagery for them, but a website, logo and other collateral for them to launch as a fully realized company. For Parkbench Architects’ branding, we used colors that were reminiscent of construction sites, as well as the parks of New York City where they get their name. We created logos and word-marks to invoke certain aspects of the parks department, as well as architectural approval seals that are used for signing off on plans. For Parkbench, we created a set of custom icons to illustrate their vast list of services, ranging from Architectural Drawing to Zoning Analysis. These were done in a mono-weight style, and were informed by the simplicity of the bench in their logo mark. 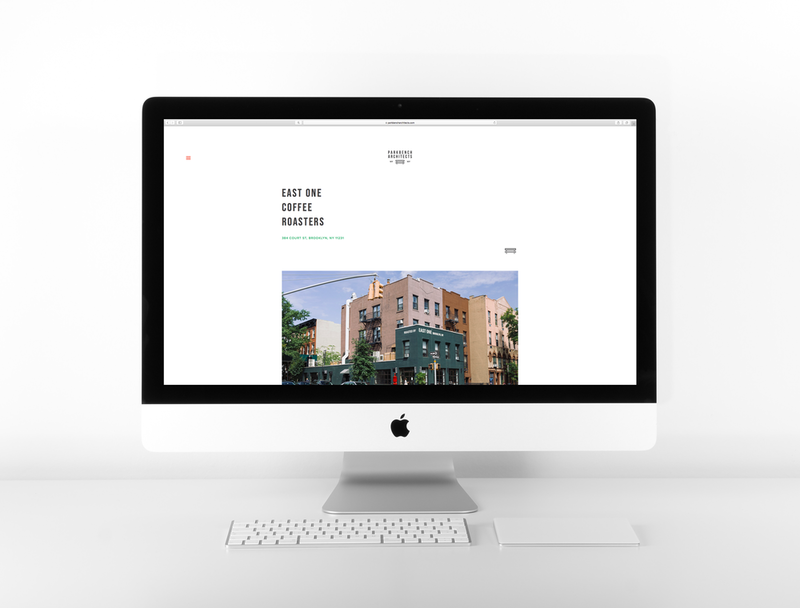 For Parkbench’s website, we wanted to take elements of architectural websites that we liked, such as a clean presentation and an uncluttered look, but update it a little bit with bold shapes and type and pops of color.